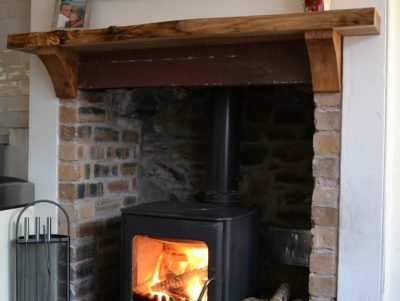 Create a stunning centre piece for your living room with one of our solid wood fireplace mantels, mantel shelves, beams or lintels. 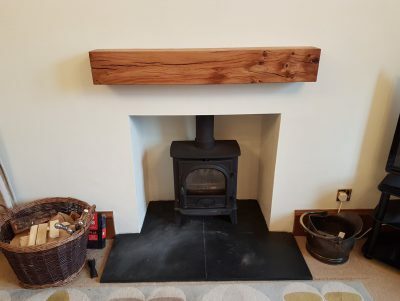 From traditional Oak to warm Elm and contrasting Ash we have the size and shape to suite your fireplace. 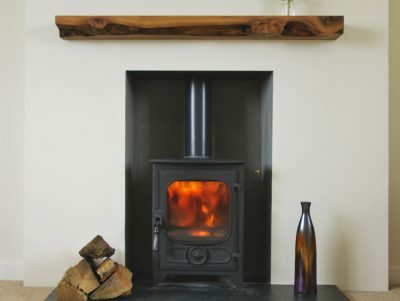 Whether you are looking for a mantel with a square edge, a natural edge or something in between we will have the perfect piece. 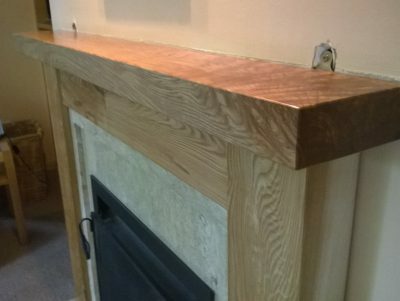 Once you have chosen your mantel we can sand and oil it to your preferred finish. 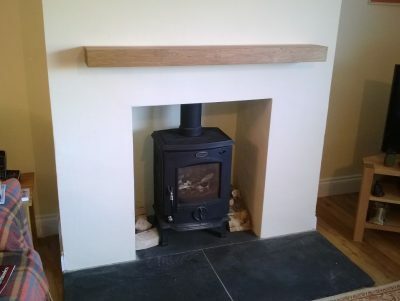 Below you can see some finished examples. 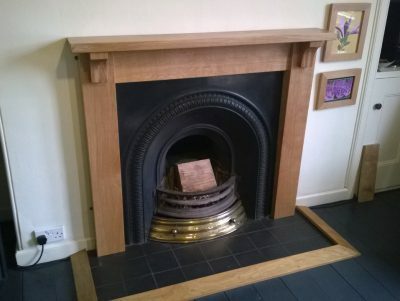 Please see our Fireplace Mantels page for further details.